This Syrah is harvested from 2 1/2 acres planted on our Estate Vineyard located on a southeast facing slope on Laguna Ridge. 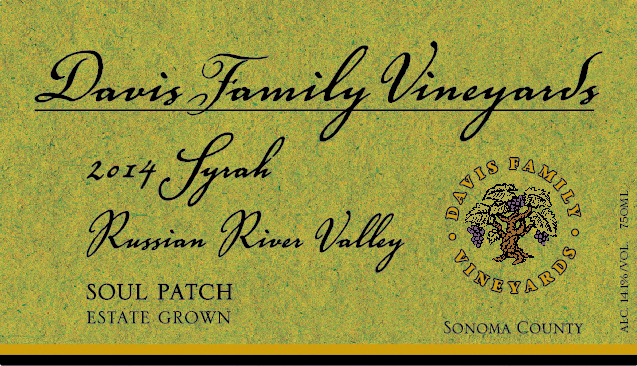 The Davis Family planted this Syrah in 1996, and organically farm the vineyard. The 2011 growing season was cool and long, allowing the tannins fully developed on the vine while the rest of the aromas and flavors grew in complexity. 3% Viognier grapes were added to co-ferment with the Syrah, in the tradition of Côte-Rôtie. This Syrah is the perfect combination of richness and depth, with a complex, balanced elegance.